The 33-year-old made the switch to the north London giants from Swansea City during the summer of 2017 but he has since struggled to make a strong impression with just two goals from 28 Premier League and Champions League appearances. 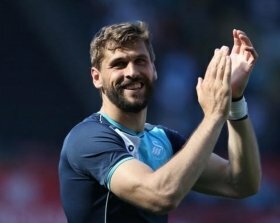 Amidst this, there has already been speculation that Llorente may consider a fresh challenge at the turn of the year and speaking to Cadena SER, he has revealed that a return to Bilbao remains a possibility. "I would like to go back to Athletic. My priority is to feel important in the team. If I have the opportunity and can talk to them, for me, yes, I would like to go back," he said. Athletic have stuck by their values of recruiting only players in the Basque Country over the years but they face a tricky task of avoiding the drop this term. The Basque outfit have managed just two wins during the opening 15 matches in the Spanish La Liga and they are currently in the drop zone by virtue of an inferior goal difference to 17th-placed Villareal.